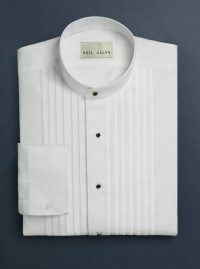 1/2" Banded collar tuxedo shirt. 65/35 poly cotton blend. 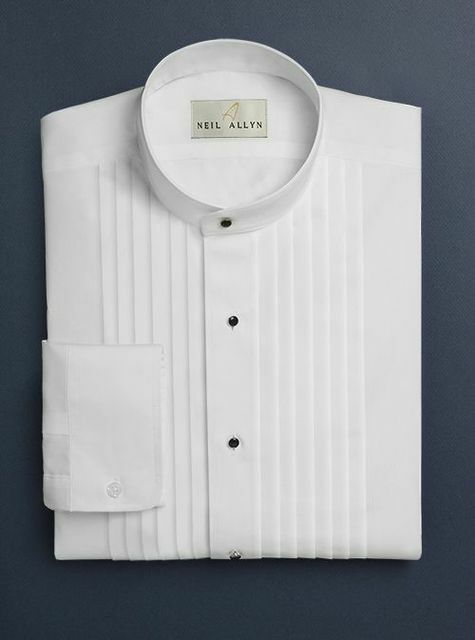 Comfortable cuffs, comfort collar.